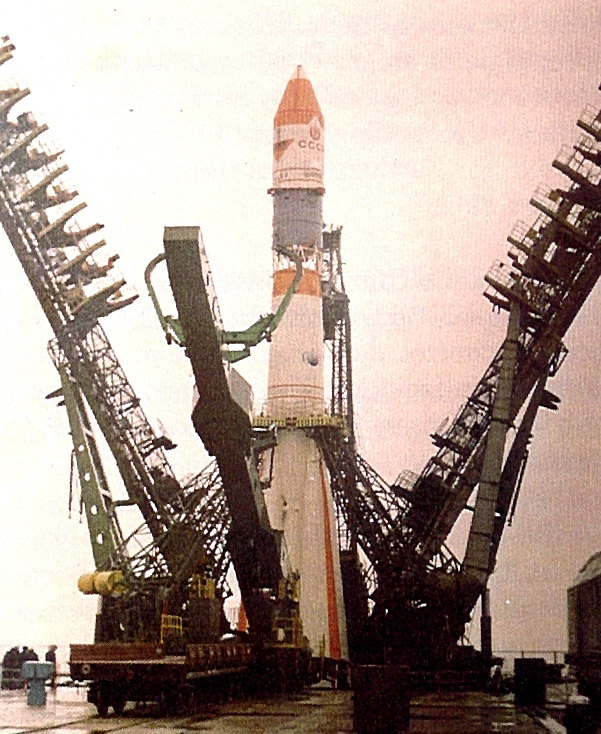 IRS-1A, the first of the series of indigenous state-of-art operating remote sensing satellites, was successfully launched into a polar sun-synchronous orbit on March 17, 1988 from the Soviet Cosmodrome at Baikonur. The successful launch of IRS-1A was one of the proudest moments for the entire country, which depicted the maturity of satellite to address the various requirements for managing natural resources of the nation. Its LISS-I had a spatial resolution of 72.5 meters with a swath of 148 km on ground. LISS-II had two separate imaging sensors, LISS-II A and LISS-II B, with spatial resolution of 36.25 meters each and mounted on the spacecraft in such a way to provide a composite swath of 146.98 km on ground. 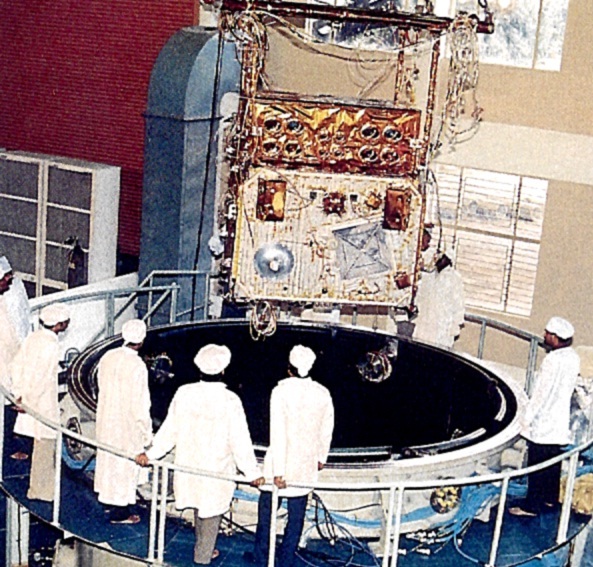 The IRS-1A satellite, with its LISS-I and LISS-II sensors quickly enabled India to map, monitor and manage its natural resources at coarse and medium spatial resolutions. The operational availability of data products to the user organisations further strengthened the operationalisation of remote sensing applications and management in the country. IRS-1A was followed by the launch of IRS-1B, an identical satellite, in 1991. IRS-1A and 1B in tandem provided 11-day repetivity. These two satellites in the IRS series have been the workhorses for generating natural resources information in a variety of application areas, such as agriculture, forestry, geology and hydrology etc. From then onwards, series of IRS spacecrafts were launched with enhanced capabilities in payloads and satellite platforms. The whole gamut of the activities from the evolution of IRS missions by identifying the user requirements to utilisation of data from these missions by user agencies is monitored by National Natural Resources Management System (NNRMS), which is the nodal agency for natural resources management and infrastructure development using remote sensing data in the country. Apart from meeting the general requirements, definition of IRS missions based on specific thematic applications like natural resources monitoring, ocean and atmospheric studies and cartographic applications resulted in the realisation of theme based satellite series, namely, (i) Land/water resources applications (RESOURCESAT series and RISAT series); (ii) Ocean/atmospheric studies (OCEANSAT series, INSAT-VHRR, INSAT-3D, Megha-Tropiques and SARAL); and (iii) Large scale mapping applications (CARTOSAT series). IRS-1A development was a major milestone in the IRS programme. On this occasion of 30 years of IRS-1A and fruitful journey of Indian remote sensing programme, it is important to look back at the achievements of Indian Space Programme particularly in remote sensing applications, wherein India has become a role-model for the rest to follow. Significant progress continued in building and launching the state-of-the-art Indian Remote Sensing Satellite as well as in operational utilisation of the data in various applications to nation. Today, the array of Indian Earth Observation (EO) Satellites with imaging capabilities in visible, infrared, thermal and microwave regions of the electromagnetic spectrum, including hyper-spectral sensors, have helped the country in realising major operational applications. The imaging sensors have been providing spatial resolution ranging from 1 km to better than 1m; repeat observation (temporal imaging) from 22 days to every 15 minutes and radiometric ranging from 7 bit to 12 bit, which has significantly helped in several applications at national level. In the coming years, the Indian EO satellites are heading towards further strengthened and improved technologies, taking cognizance of the learnings/ achievements made in the yester years, while addressing newer observational requirements and the technological advancements including high agility spacecrafts.